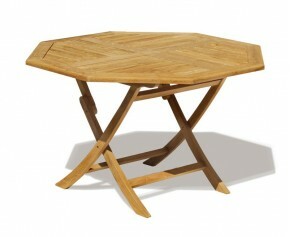 For a modern twist on the typical garden dining table, choose from our selection of octagonal tables. The octagonal shape works well to modernise existing furniture and adds a touch of contemporary style to any space. 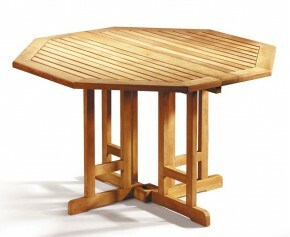 Our octagonal tables are made with the finest grade-A teak, assuring longevity and extreme durability. There is no need to take these octagonal tables in during the winter as they can withstand even the most inclement of weather conditions. With a simple enough design to compliment any other furniture, you can pair this table with whatever styled furniture you choose and can make a set completely unique to you. 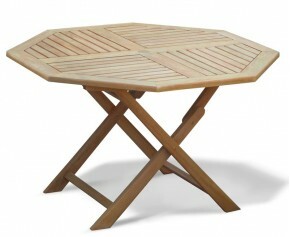 These octagonal tables will look stunning as a focal point in your outdoor space. 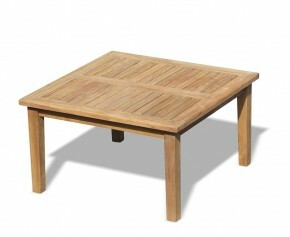 Choose from our selection of octagonal tables here.